Duology - Good start for polish music. 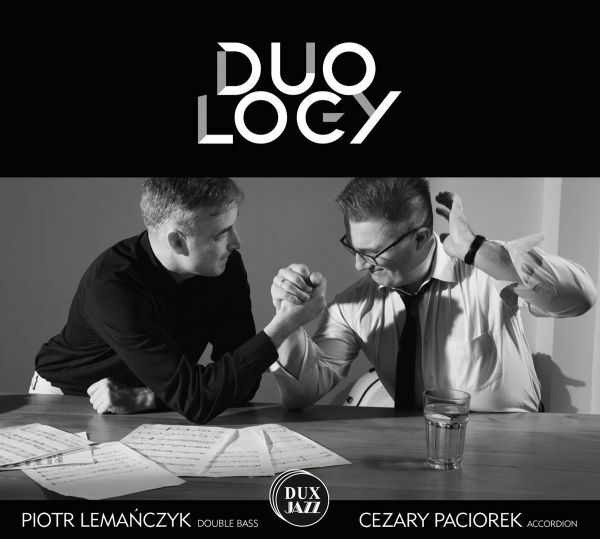 An original CD of two outstanding instrumentalists - Cezary Paciorek (accordion) and Piotr Lemańczyk (double bass). The musicians play a double role here, they are performers and composers of the music written for these two inventively juxtaposed instruments. Music inspired with jazz, Polish and Latin American folklore, traditions of the European classics. Both poetical and vivid. Interesting. El Teatro Del Arpa The Harp´s Theatre. Música para arpa de dos órdenes en Espana en el S. XVII | Harp music in Spain in the 17th century. • El secreto (the secret). Canción Alemana. • El juego (the game). Zarambeques. • La criada (the maid). ¡Ay de mi ganadito! • La magia (the magic). Pasacalles de segundillo a compasillo. • La poesía (the poetry). Españoletas. • La dama (the lady). Quién es Amor. • El portugués (the Portuguese). Prolatio. • Madre y Padre (mother and father). Pabanas. • La anciana (the old woman). No queráis dormir, mis ojos. • El Francés (the French). Monsiúr dela boleta. • El hechizo (the spell). Tarantela, • El mercader (the merchant). Minuet de primer tono. • Los elementos (the elements). • Tened, parad, suspended. La fiesta en palacio (party palace). Suit segunda. • Juan Sequeira de Lima • La mirada (the look). Gaitas. • El viaje (the tryp). Achas. • La pradera (meadow). Aura, tierna amorosa. • El inglés (the English). Fortune. • El criado (the servant). Canarios. • La iglesia (the church). El agua del llanto. • Fin (the end). Folías.